Les Rizieres is a special place and Thomas & Katie were fantastic hosts. The rooms are really nice but the highlight was the fabulous upstairs deck where you can almost reach out and touch the rice fields - I could have spent days relaxing there with a book and freshly made banana juice or Lombok coffee. 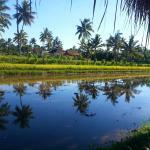 Tetebatu is how Ubud might have been 50 years ago and the walking tour of the rice fields organized by Thomas was the highlight of our time in Lombok. We only wish we could have spent more time there and hope we can visit again before too long. Great bathrooms and fabulous food! The most welcoming place we have stayed in the whole of Asia. And we have been on the road four months now. Felt part of the family got great advice and personal tours of area. We haven't seen towels of that quality in a long time luxury!!! Can't express how good this place is. Just go!!!! - Delicious breakfast and smoothies in the jar! This homestay really felt like home! We didn't want to leave this place anymore. The backpacker room in which we stayed is very simple but totally sufficient and clean. The double rooms looked really nice like the whole house which is newly made. 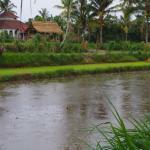 The best is the piazza made out of bamboo with a stunning view overlooking the rice fields. I can highly recommend this homestay!! We initially planned to stay 1 night and ended up staying 4. 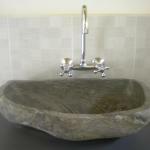 The house has been completely renovated and the rooms are very confortable. 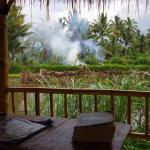 The highlight is the bamboo terrace with a magic view on the rice fields and the volcano. Thomas and Katie are fantastic hosts, very welcoming and helpful. They gave us very good advices about the places to visit and helped us make the most of our visit. Before coming, I heard mixed feelings about Lombok. But Tetebatu is one of the most charming places I visited. I suggest to stop by! We had a wonderful stay with Thomas and Katie. Looking back, we agreed that we probably had our most memorable time here. The rooms were very clean and the bamboo restaurant is just a beauty to behold. You can book a guided tour through the immediate surroundings with Ronny which I would definitely recommend. I wish them both the best of luck for the future.